Shuttle buses operated by Tisséo depart every 20 minutes from a stop outside exit C2 on the arrivals level. Travel time is 20 to 45 minutes. The buses run from 5:40 a.m. to 12:15 a.m. in the direction of the Toulouse bus station and from 5:00 a.m. to 9:20 p.m. in the direction of the airport. The fare is EUR 8.00 each way. Bus lines 25 and 30 serve the airport (EUR 1.60 per ride). Bus line 88 operated by the Conseil Général de la Haute-Garonne serves the city of Toulouse and surrounding communities (EUR 2.00 per ride). Taxi ranks are located outside the arrivals area, between exits B3 and C1. You may call ahead to make a reservation, +33 (0)5 61 30 02 54. The fare to central Toulouse is approximately EUR 20. The new T2 line connects the airport with the city centre, with trams running every 15 minutes. 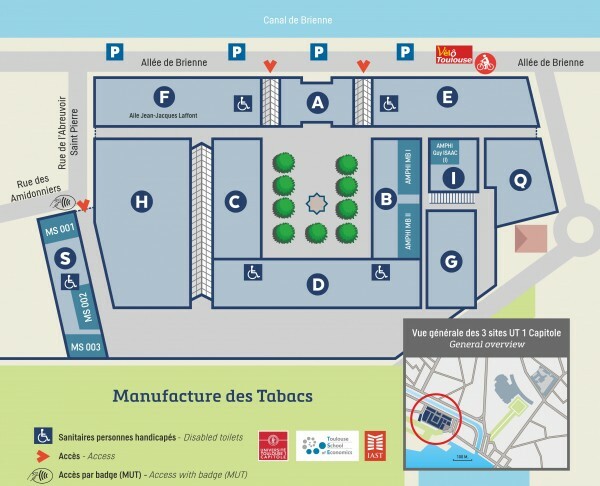 The first departure from the city centre (Arènes) is at 5:35 a.m. and the last at 11:30 p.m. (Palais de Justice). Travel time is between 20 and 30 minutes depending on the city centre destination and the fare is EUR 1.60 each way. Tisséo tickets are valid for use on the whole network. For those arriving by plane, a shuttle links the airport to the city centre and the train station.